Watermelon is always the perfect summer treat, but sometimes picking, preparing and serving this iconic fruit can be a challenge. 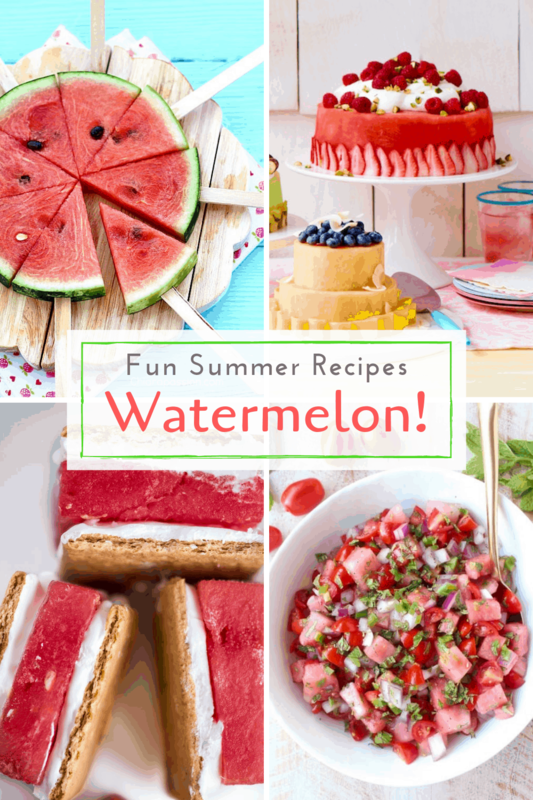 I’ve put together 15 great watermelon hacks that’ll make your life easier and more delicious! Everything you’ll ever want to know about eating, juicing and getting creative with watermelon is right here. 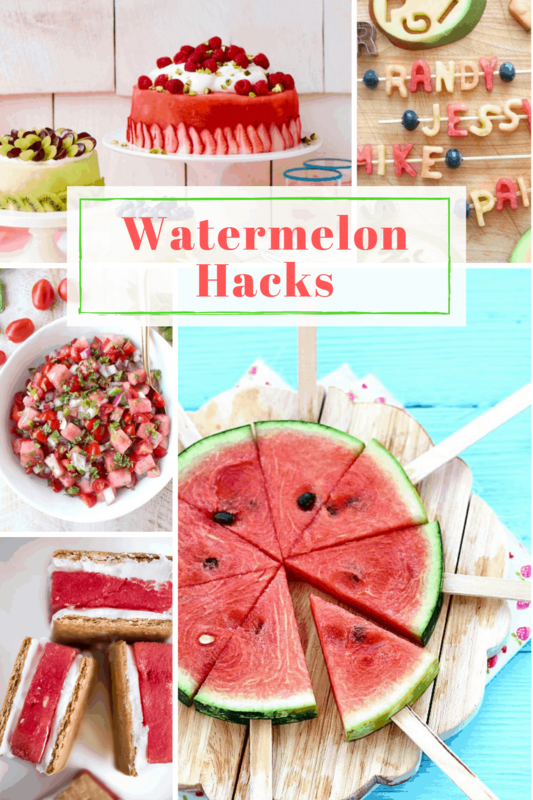 Read on!Scroll down to check out my segment on the Today Show for demos of these Watermelon Hacks! 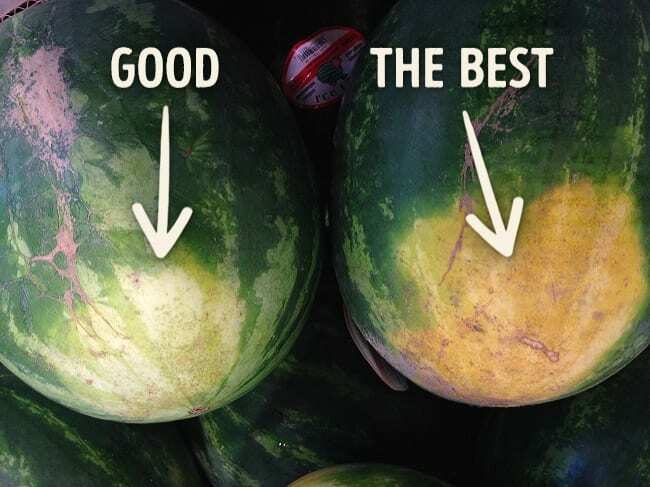 You’ll be surprised by the visual signs of a sweet, ripe watermelon. Essentially, the uglier the melon, the better the flavor. But that’s not all. There are several more signs of a perfectly ripe, sweet melon. Do you own a stick blender? Then you’re all set! If not, don’t panic. This juicing method also works well with a hand mixer, too. 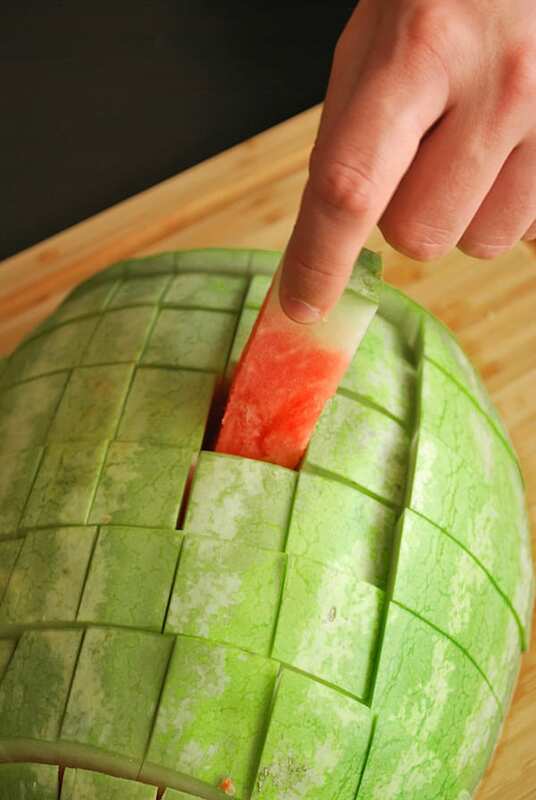 Cutting watermelon just got a whole lot easier! This method lets you serve more people at once and those long sticks of fruit are so fun to eat. 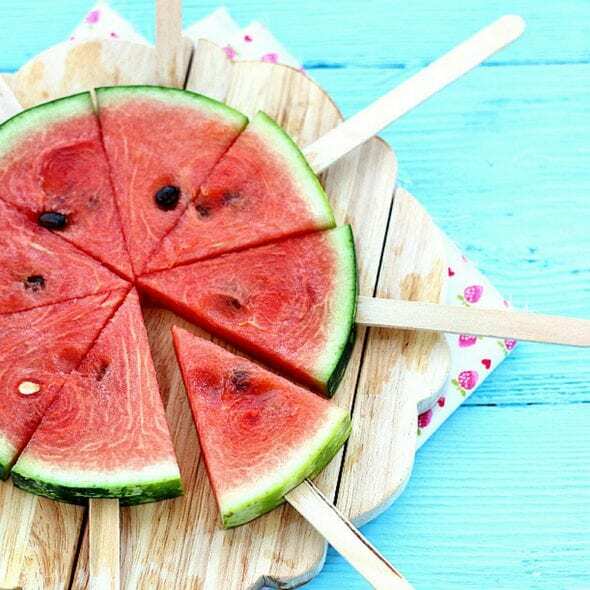 These 15 Wonderful Watermelon Hacks and Tips are just what you need to enjoy the best fruit of the summer! No muss no fuss! 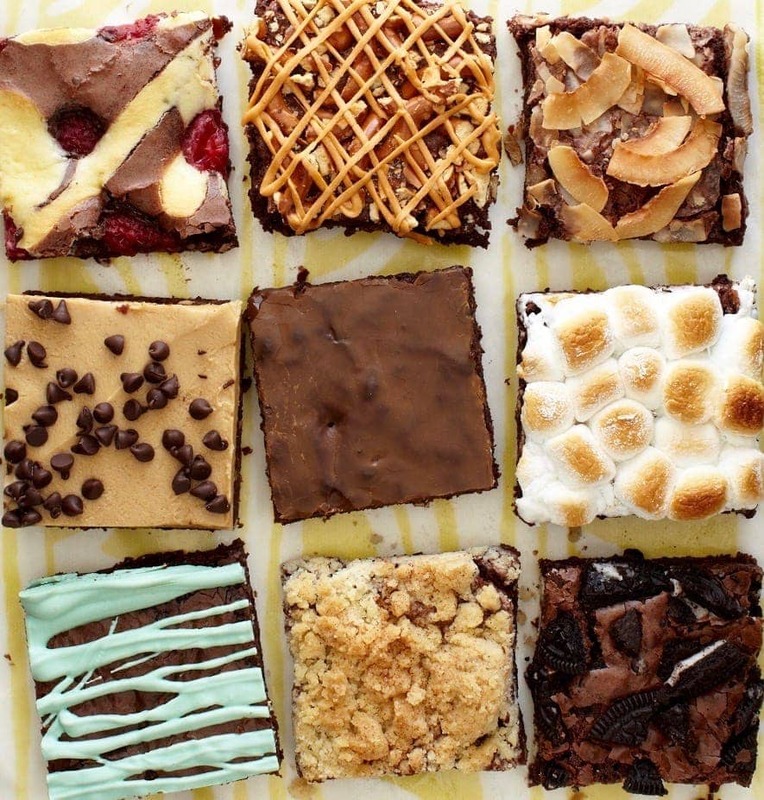 Just slice, place and flip. 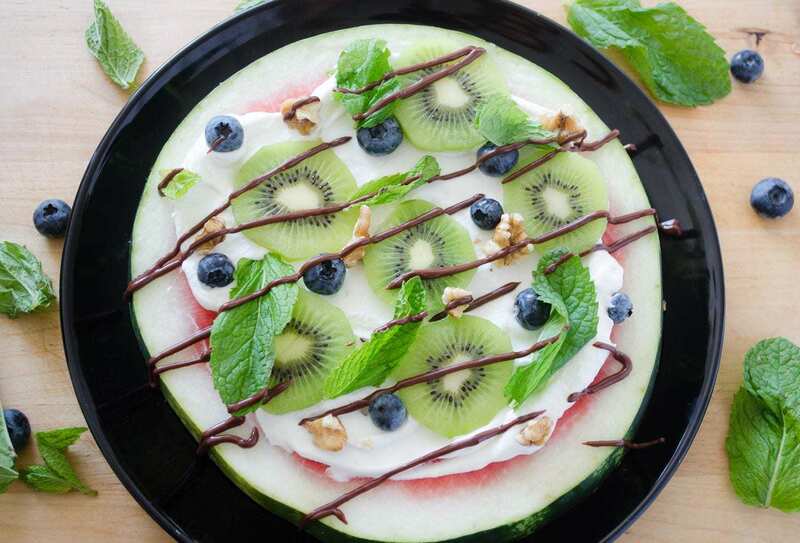 With this technique, you’ll never worry about serving up a bowl of melon again – it’s effortless. 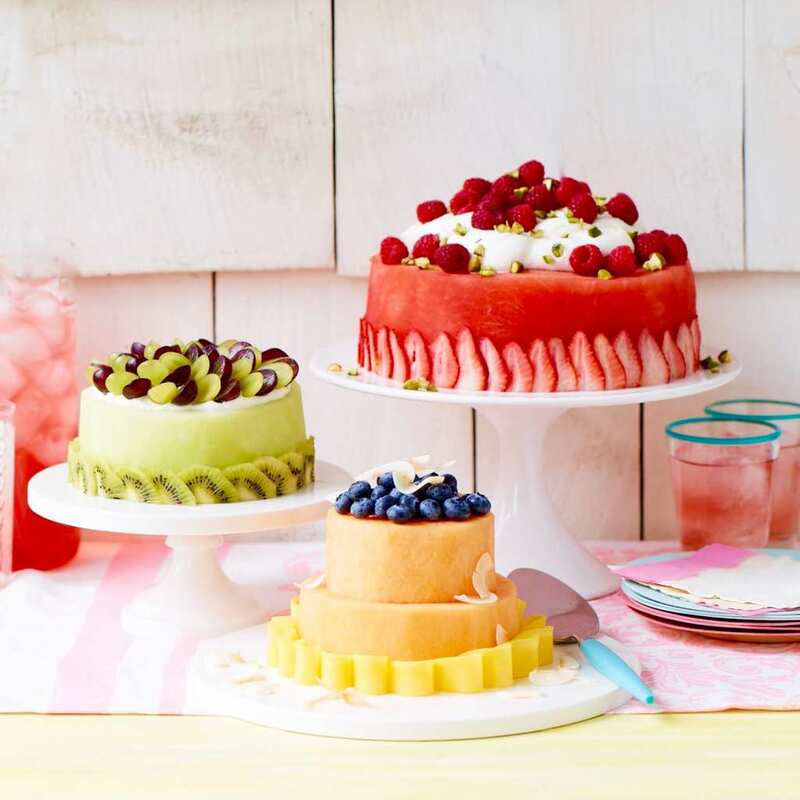 I’m sure you’ve seen so many variations of fresh melon cake that are covered in cream. I didn’t want to hide that beautiful piece of watermelon, so I made a more elegant version that’s essentially effortless. 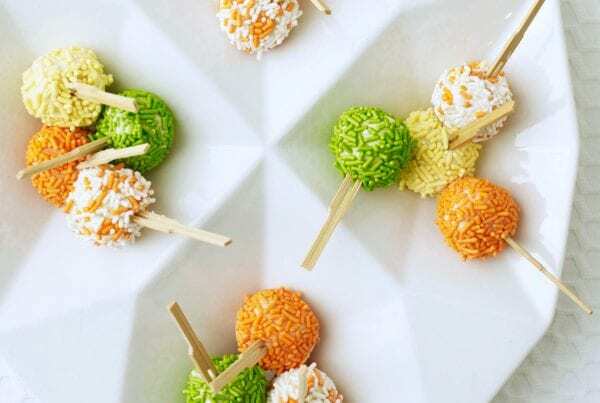 These are the cutest edible party decoration! A couple skewers, some alphabet cookie cutters et voila! Spell out your guests’ names or messages that go with your theme. So easy! Make these kid friendly or adult only if you feel like a real party. 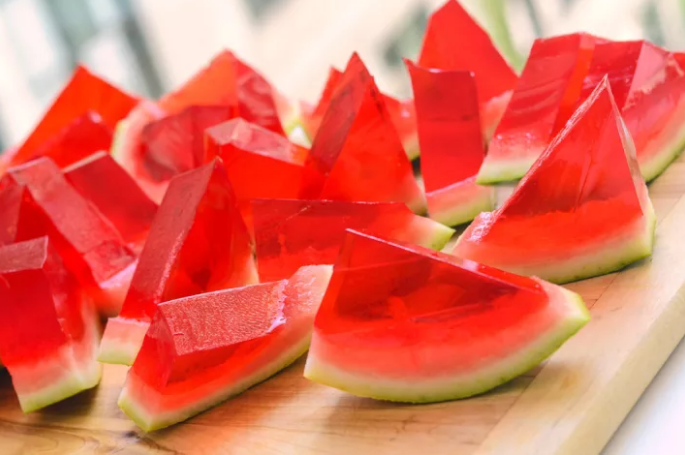 Either way, these wobbly slices of watermelon are a snap. Fruit infused water is all the rage but I like putting a cool spin on things. 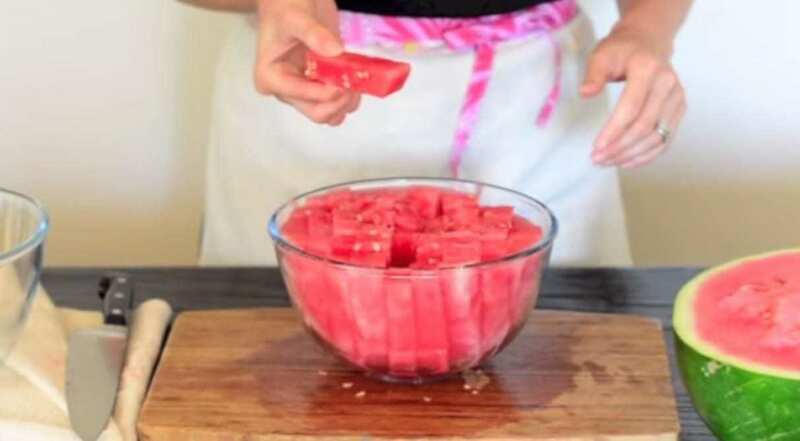 Just freeze up some watermelon cubes and you’re ready to go! 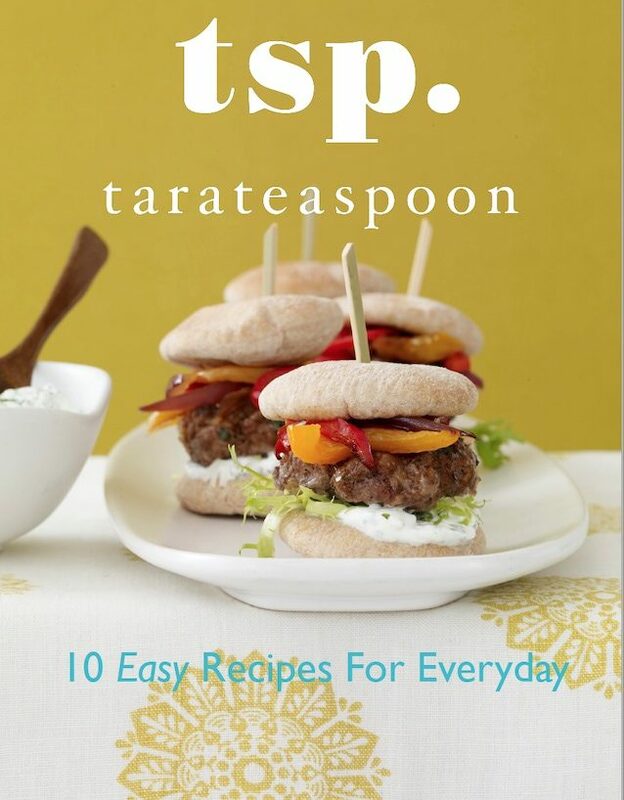 I loved sharing these fun tips on the Today Show! No need to get your hands sticky this summer. 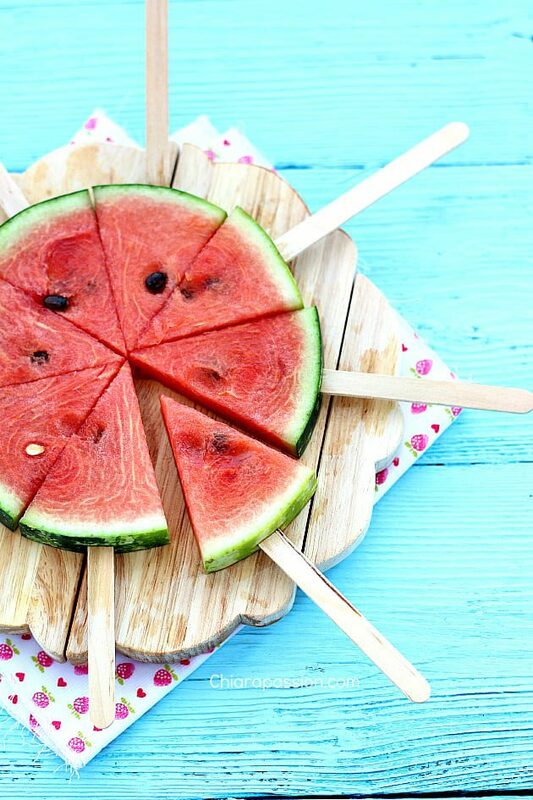 Just put your watermelon slices on a stick! You can also freeze them for healthy popsicles. 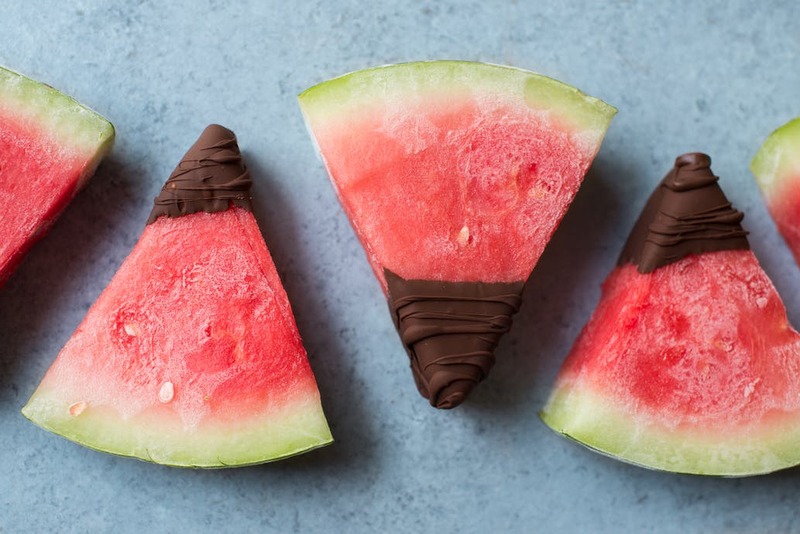 If you’ve never tried it before, chocolate is fantastic with watermelon – especially if you chill it. You bite through the chocolate shell into the juicy fruit center. Trust me, it’s to die for! This fruit serves as a healthy substitute crust for your pizza needs. 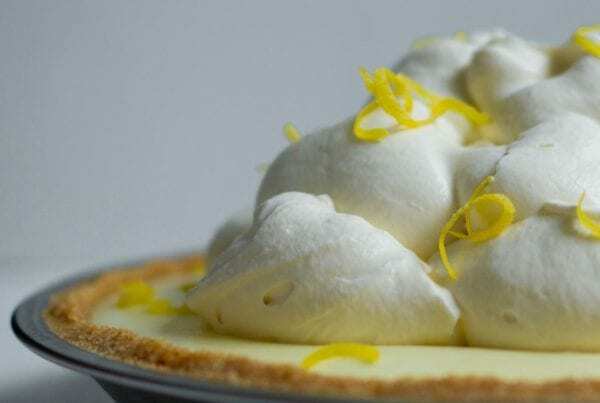 Top a large slice with sweet or savory combinations. 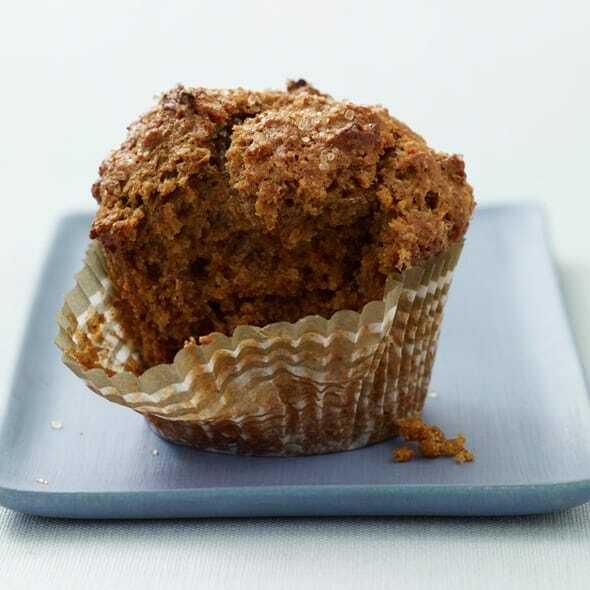 It makes a great snack, dessert or even meal! 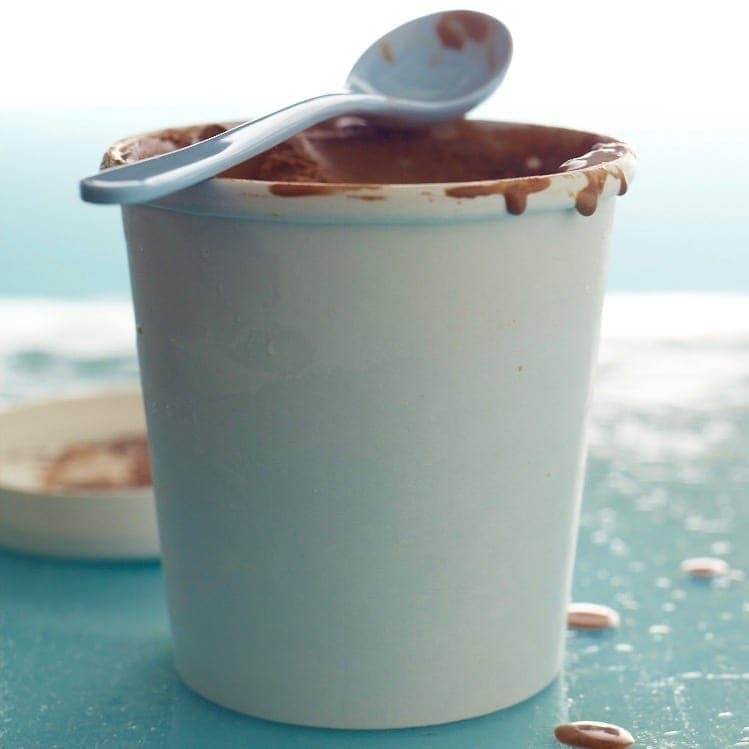 This frozen delight is a snap to whip together. 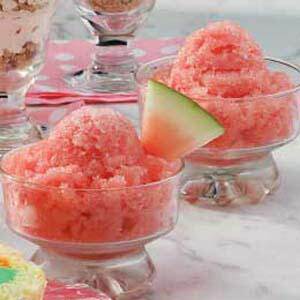 Made mostly of watermelon, you can indulge in a bowl without worrying about your figure. 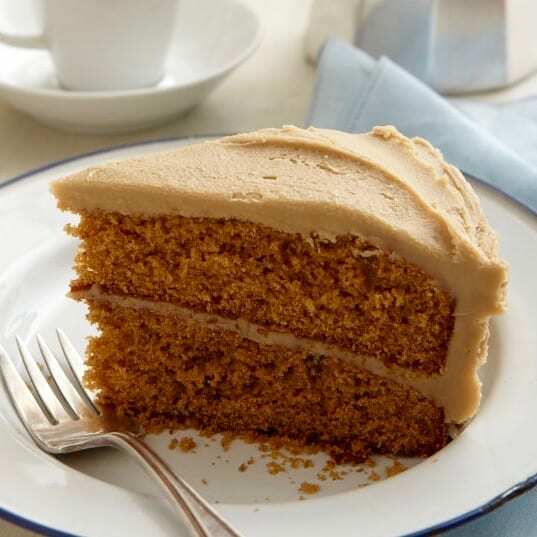 Don’t judge this treat by its name. 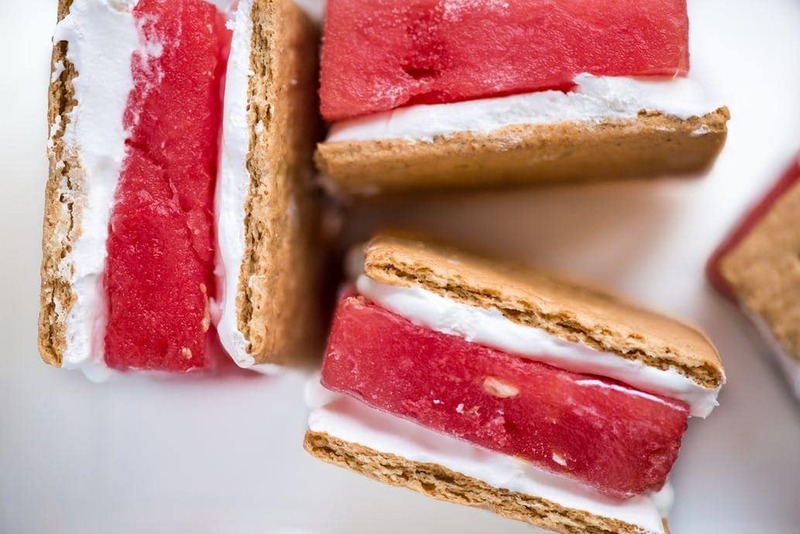 You might think it sounds gross at first (I sure did) but there’s something refreshing about a nice piece of watermelon slathered with cool whip and sandwiched between graham crackers. 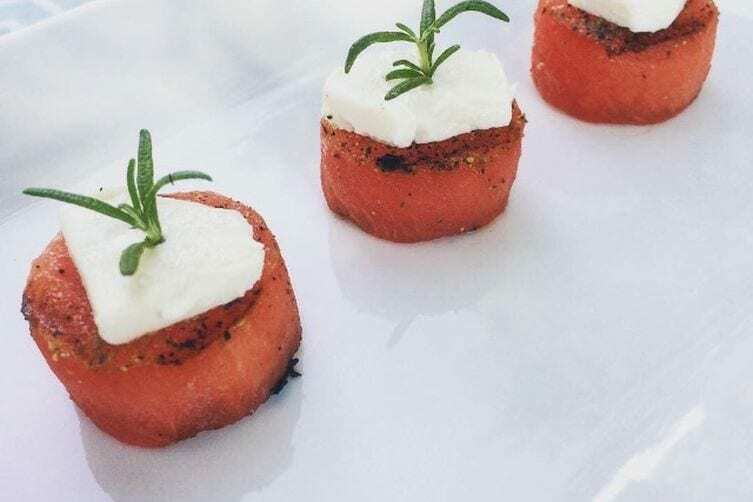 Who knew watermelon could make such a sophisticated appetizer. Grill a rounded slice to add a smokey flavor before topping with some goat cheese. Perfect finger food! 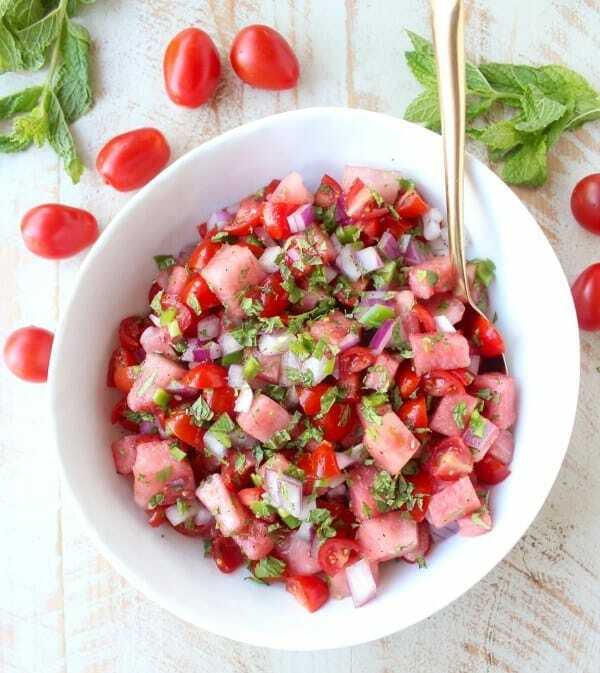 Jazz up your salsa by with our favorite melon! 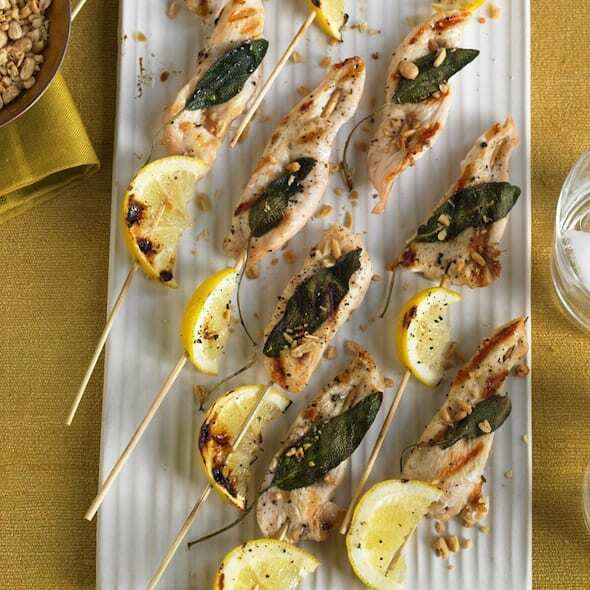 It really freshens up the flavor and brings a little more summer to your snack. 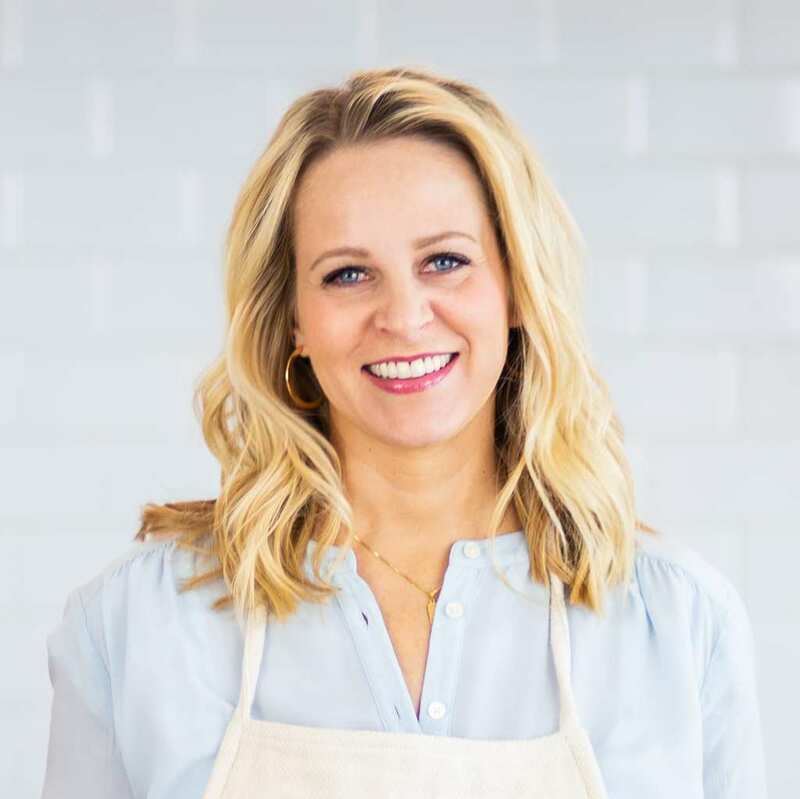 Check Out More Of My Summertime Recipes! 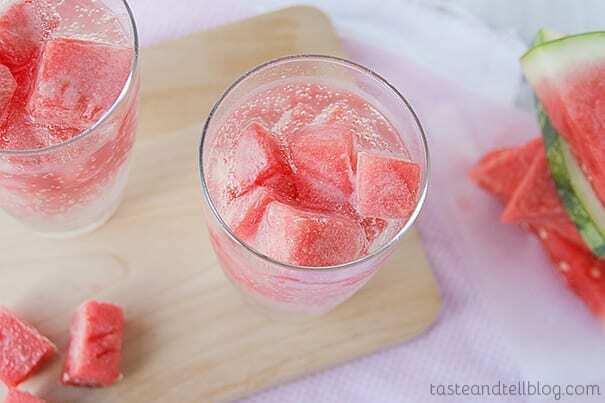 15 great watermelon hacks that'll make your life easier and more delicious!